Girl’s Maker Eternity Line α – Global Resonance Inc. Gaining a lot of repeat users! 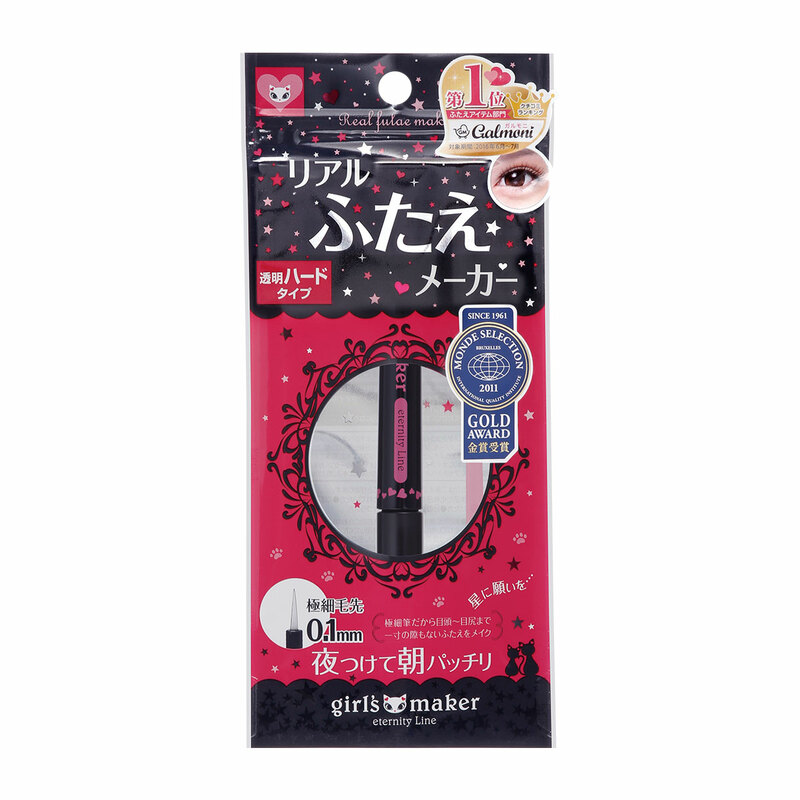 Powerful double eyelid liner. Creates the habit of double eyelid! 1: Simply apply to the eyelids before sleeping to create the double eyelid. In the following morning, you will see your eyes bigger with double eyelid just like those of the fashion models. Of course, you can use during day time too, which helps to become the natural double eyelid. 2: Prepare the eyelid skin, take care the swelling, then decide where to draw the line for double eyelid. 3: 1mm of ultra-fine Brush allows drawing in details to create bright double eyelid. 4: It’s a transparent, powerful and resistant to water and sweat, holds strong. 5: The beauty serum such as elastin, collagen, hyaluronic acid, will care your eyelid a whole day.